The iTunes U catalogue contains some fabulous lesson ideas made by Apple Distinguished Educators.At the ADE Global Institute in San Diego last summer we were asked to design one great course to publish to iTunes U. In the last weeks these courses are coming available here. 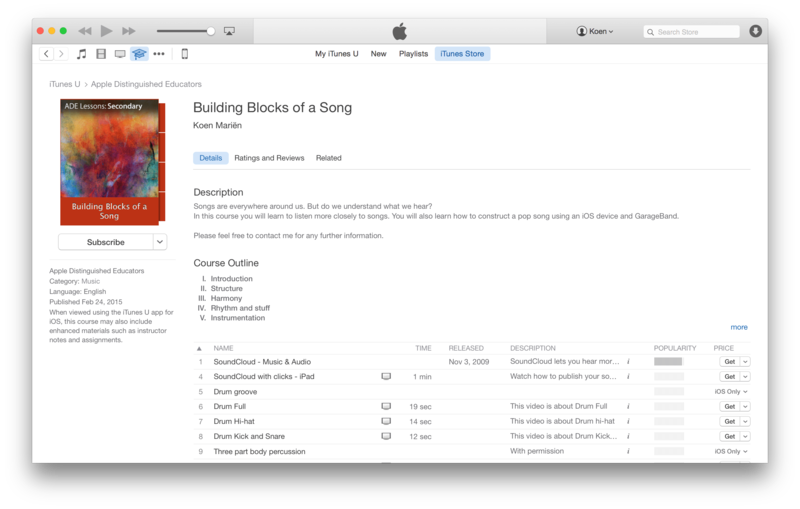 Yesterday I received a very nice message saying that my course ‘Building Blocks of a Song‘ got published too. In this course, you learn all the necessary steps to record a pop song all by yourself. It cost quite some effort to get this thing ready. For me, it was a great experience to be part of a worldwide publishing.